This past week, we saw a tale of two Penguins teams. The Pens that hosted the Carolina Hurricanes played a solid, no-frills game that resulted in a 5-2 victory. The next two games saw mostly lackluster defensive performances and sloppy offense as they went 1-1, losing to the Panthers in Jeff Zatkoff's NHL debut and stealing a victory from the Lightning on Saturday night with a "better late than never" power play goal from Matt Niskanen. The upcoming week should prove just as interesting as the team hosts two Pacific Division teams with a little trip to Philly in between. Nothing will be easy this week, especially with two of the three teams they face trying to dig themselves out of early holes. 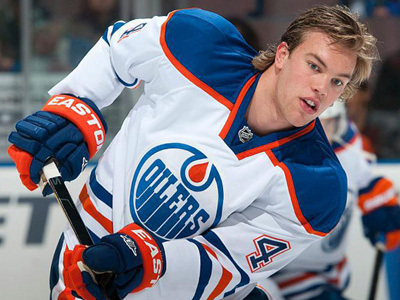 The Edmonton Oilers made some moves in the off-season in an attempt to bolster the young core of the team. Thus far, it hasn't worked. It is still early in the season, though, and down is most certainly not out with a team as talented as Edmonton. The team that Gretzky built has struggled over the past several years. Those struggles are just now starting to bear fruit, at least generally speaking, as top picks are starting to come into their own and attract free agents. One exception seems to be last year's first overall pick, Nail Yakupov. The second year earned his first healthy scratch of the season in a 6-5 OT loss Saturday night to the Toronto Maple Leafs. Through the first four games of the season, Yakupov was a minus-3 and accounting for exactly zero points for the Oilers. The Oilers are getting help from others in the lineup. Taylor Hall shares the points lead for the team with Marc Arcobello, each netting 5 points, primarily with assists. Ryan Smyth and Boyd Gordon have netted 3 goals each. Unfortunately, they will need a lot more offense to overcome their league-leading 25 goals against as both starter Devan Dubnyk and backup Jason Labarbera struggle to keep the puck in front of them and carry sub-.900 save percentages. Control the Puck - The Pens have struggled controlling the puck at both ends of late. Eliminating sloppy play with the puck will pay dividends against this team. Keep the Pressure On - The Oilers are young and struggling. They're also talented. Give them confidence and they'll show how dangerous they can be. Keep the Shooting Lanes Clear - Fleury just gave up 4 goals against the Bolts. To avoid a slump, the defense should give him the best looks at the puck as they can. The injury bug has hit the City of Brotherly Love once again this year. Even before Scott Hartnell and newly-acquired Vinnie Lacavalier went down with injuries, the Flyers were struggling. Already, Peter Laviolette has had "former" added to his title of Flyers Head Coach. Steve Mason: A lone bright spot. There are many people to blame for the Flyers' early season struggles, starting with the Captain. Claude Giroux through six games has accounted for a lone assist, something he admitted in an interview this week stating his low confidence at this point. Goalie Steve Mason has been one of the lone bright points thus far. His .935 save percentage is more than respectable and higher than many expected. At this point, it is also fair to say that his play is largely being wasted by the Orange Crush. Of course, this is still a Penguins/Flyers match-up. A game against the hated cross-state rivals may be the wake-up call this team has been waiting for. Defend the Middle - The Flyers are always physical. Keeping them against the half-wall takes away their net-front presence which has resulted in 5 of their 8 goals so far. Play Disciplined - Philadelphia is going to be Philadelphia. Taking the bait and giving up power play chances could be devastating. No Turnovers - The Flyers have been excellent at generating chances off turnovers this year. They just haven't been able to finish. 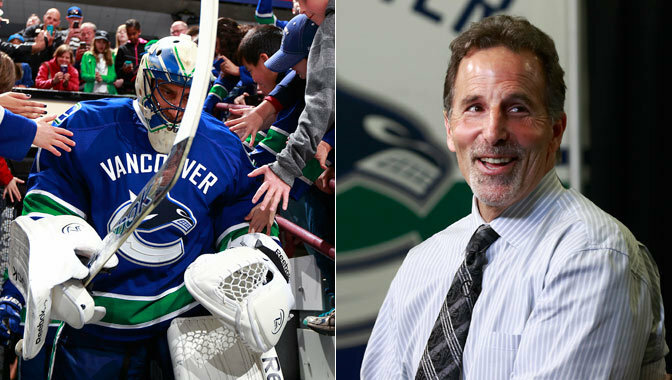 When the Canucks traded away Corey Schneider, opting to keep Roberto Luongo, they took a gamble. When they hired new head coach John Tortorella, they took a gamble. Those are two huge gambles to take. Two gambles that, in some aspects, seem to counter each other. For the time being, though, it's working. Once again the Sedin twins are leading the way in scoring. Once again, the team is getting scoring from a variety of places, including the defense. Only four players haven't gotten at least one point this season: Alexandre Burrows (out with a foot injury), Tom Sestito, Yannick Weber and Zac Dalpe. Since Burrows is the only expected producer of those four, things are looking good offensively for the Canucks. Defensive Positioning - The Canucks are getting scoring from every where. Fleury may not be enough if the skaters can't take care of the defensive aspect of the game. Special Teams - Last season, the Devils led the league with 11 shorthanded tallies. Vancouver already has two with 77 games to play. Put Pucks On Net - When Luongo is on, there's nobody better. He's stopping shots at a .900 pace and he either gives up one or four. Try for four.